From Into The Shadows, via BoingBoing. 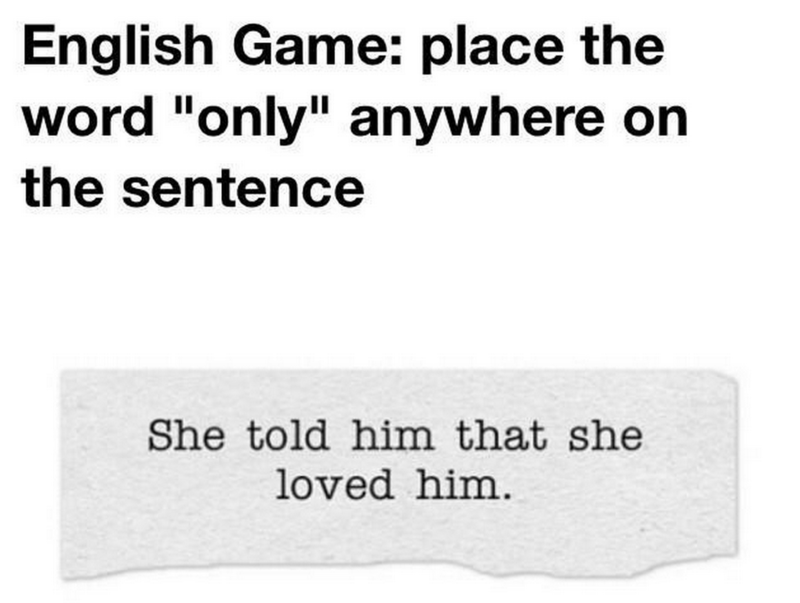 This also works with the word "even" except possibly for putting it at the end of that sentence. "Even" and "only" are always red-flag flag words, and if you use either, you need to be careful exactly what you're saying and what you _mean_ to say.